Here are two concepts of the already released Mercedes-Benz X-Class Pickup truck. 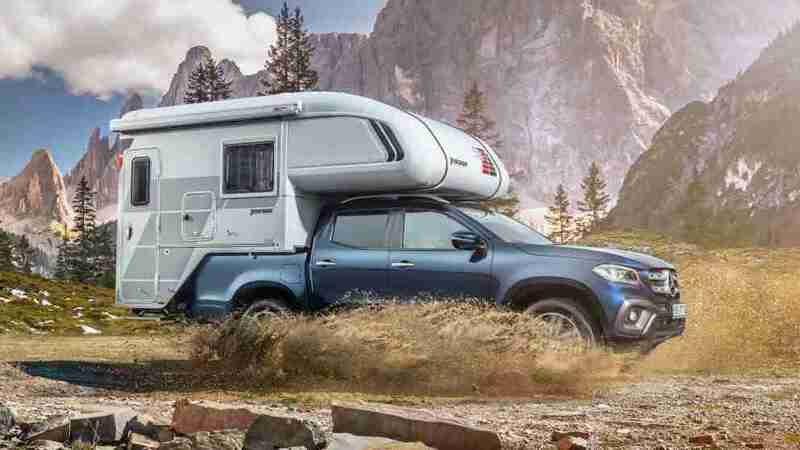 One has a fairly conventional camper setup, while the other has a stylish cooking setup that would be a perfect complement to camping in tents. 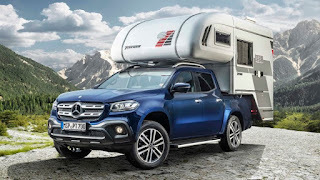 The first concept with the full camper comes from a company called Tischer. 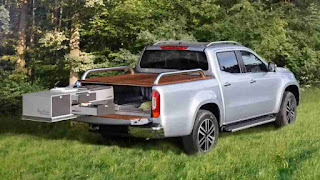 It's a fairly standard truck bed-mounted drop-in camper box. 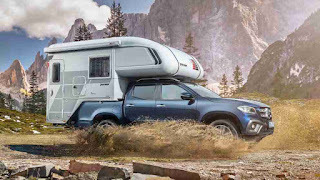 It features seating for up to three people, a small kitchen with three-burner gas stove, sleeping accommodations, and even bathroom equipment. The bathroom consists of a hideaway sink and toilet and a space for showering. The other concept has less capability, but a much more stylish execution. 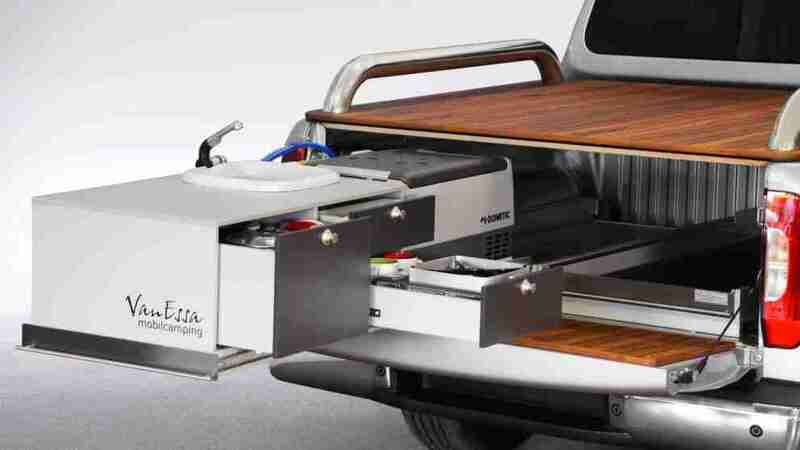 It comes from VanEssa Mobilcamping, and it features a 551-pound slide-out kitchen system. It has a cooler, sink and storage for all variety of cookware. It fits completely within the truck bed and slides out past the tailgate for use. It also fits below the classy teak wood bed cover. Fortunately, the kitchen unit doesn't take up the entire bed, either, so there's still space for various camping items. The two concepts absolutely are fascinating.